But does that massive ad spin yield a good ROI for those brands? Well, measuring that ROI is complicated. Many people that tune into the big game do so solely for the entertainment value of the commercials (said to be about 87%), for the ads that spark a conversation and go viral – that’s great! But the rather hefty price tag paired with the actual production of these commercials (The award-winning film director Ridley Scott directed Turkish Airlines’ commercial – and was only 30 seconds of a full six-minute short film posted to YouTube), creates an incredible pressure for a tangible ROI. What’s the better way to measure ROI with the Super Bowl? It measures the “brand lift” – or brand awareness. Consumers are much more likely to be familiar with a brand or a new product or service after seeing it on a Super Bowl ad – about 12.7% more likely to percise. So what were the most effective 2019 Super Bowl ads? In our opinion, these 5 won the night for their brands (and the marketing teams and advertising agencies behind them). This Google ad was optimistic (and fairly sentimental), but it did a beautiful job at displaying the power of human connection in a world of disagreement. It wasn’t our favorite Bud Light commercial, but the brand managed to get 2 of their ads in our top 5 spots. Bud Light went on the offensive throwing Miller Lite and Coors Light under the bus for using corn syrup. The ad was smart and hilarious making it another win for Bud Light. Hyundai used humor and celebrity, Jason Bateman, correctly. The ad is clear and comical using Bateman as an elevator operator taking people to horrible appointments and places. Hyundai showcases the Hyundai Shopper Assurance’s ease of use by comparing it to dreaded car shopping. Microsoft did such an incredible job with this ad – not only did it tell an effective story, but it made an emotional connection with viewers while tugging at their heartstrings. To us, this was the most potent commercial of the game. So it’s probably not a big surprise that this one won our top spot (Our CEO may be Game of Thrones’ biggest fan? ), but that being said we’re not big Bud Light fans. The commercial starts as a medieval Bud Light commercial, but slowly morphed into a Game of Thrones commercial. Partnering with the world’s most popular television show isn’t a bad idea especially when the ad is surprising and amusing. Props to Bud Light for playing along on this one – starting as a standard Super Bowl trope – and then doing something unexpected. 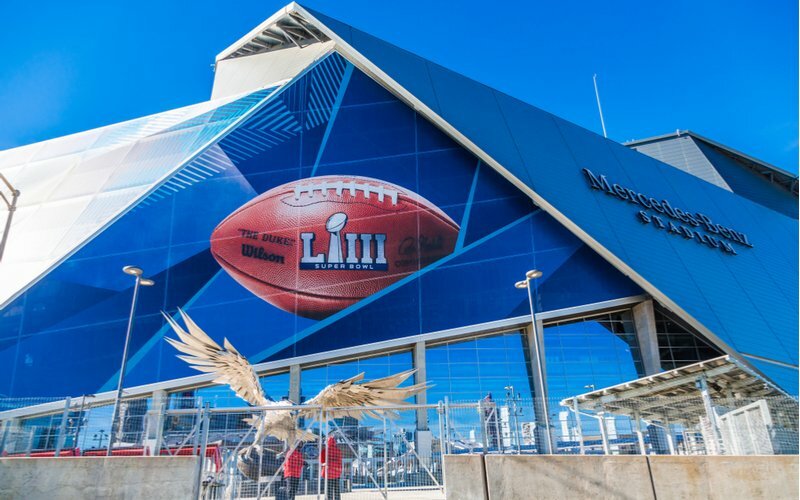 Although we’re not huge “sports ball” fans here at Excite, we geek out over well-executed campaigns in any industry, and these five impressed us as the most effective 2019 Super Bowl ads. Agree or disagree with us? Tweet us at @ExciteCS and let us know your favorite ads from the night!